Cori Bargmann: Today at the White House, I joined members of the scientific community to voice my support for the NIH and to share my perspective on the importance of strong government funding for scientific research. The message in the room was loud and clear: we need the NIH! And we need it now more than ever. Tools like the ones we’re building at the Chan Zuckerberg Initiative will accelerate discovery, but we need the NIH and the research labs it supports to lead every area of biomedical science. This will only happen through strong federal support for the NIH. 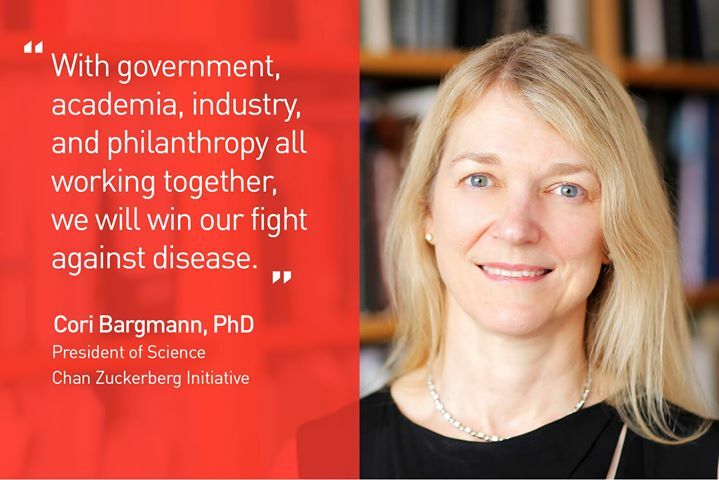 With government, academia, industry, and philanthropy all working together, we will win our fight against disease. It was a productive meeting and I am hopeful that we are moving in the right direction.